On 27th February 2013, Faculty of Business and Faculty of Humanities & Social Sciences jointly organized a KM-sharing forum which was well participated by the faculty members and lecturers. 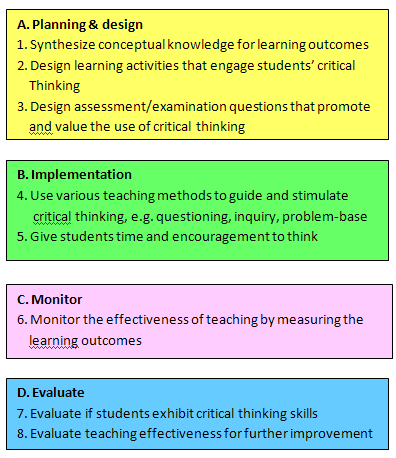 For 2012 academic year, the KM topic was chosen to improve teaching and learning and is entitled “Teaching methods to develop critical thinking skills”. From the sharing of idea, the knowledge was acquired, organized and summarized as shown in the diagram below. For further improvement, the faculties invite members of the community of practices and lecturers to use the teaching method and give some feedback. This shall be used for the next KM forum for 2013 academic year.